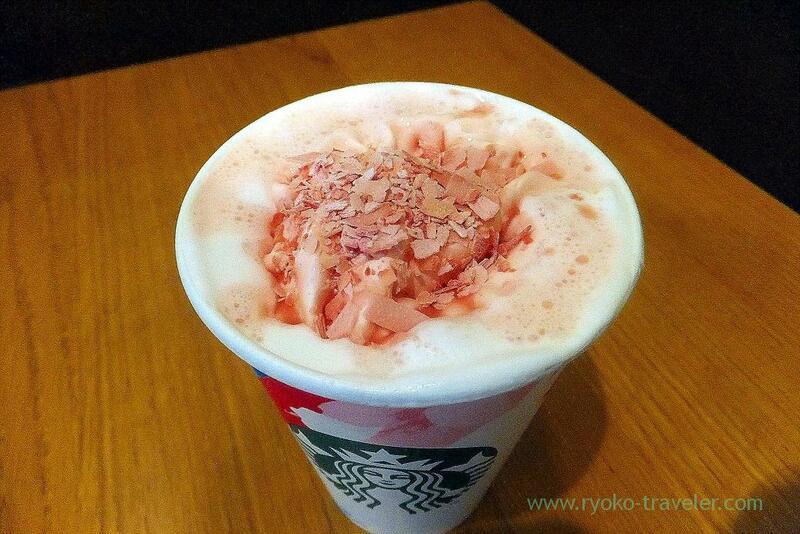 Daimon : Limited Sakura beverage at Starbucks. I went to Shiba-Daimon the other day and tried to go to Zojo-ji temple. But I got tired of walking on the way and this signboard attracted me. 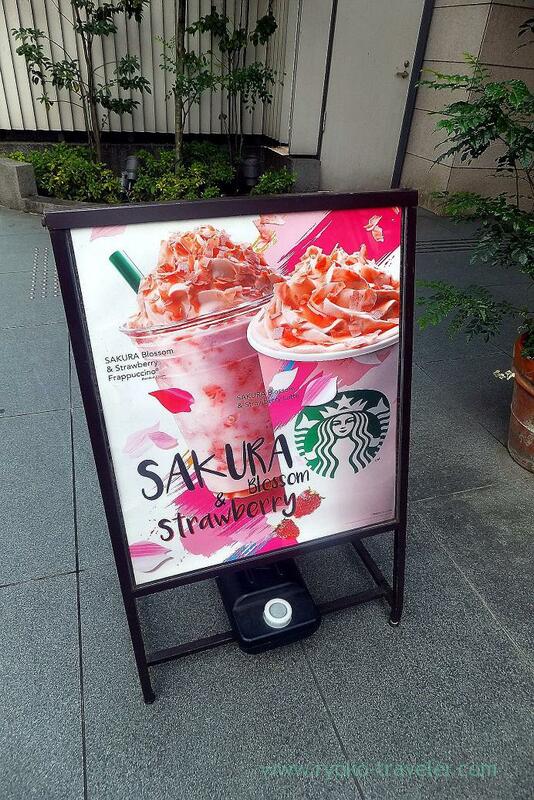 Limited sakura beverage ! I couldn’t pass through this temptation ! Though I hadn’t been this branch of Starbucks, I like it. Because…it. This location. 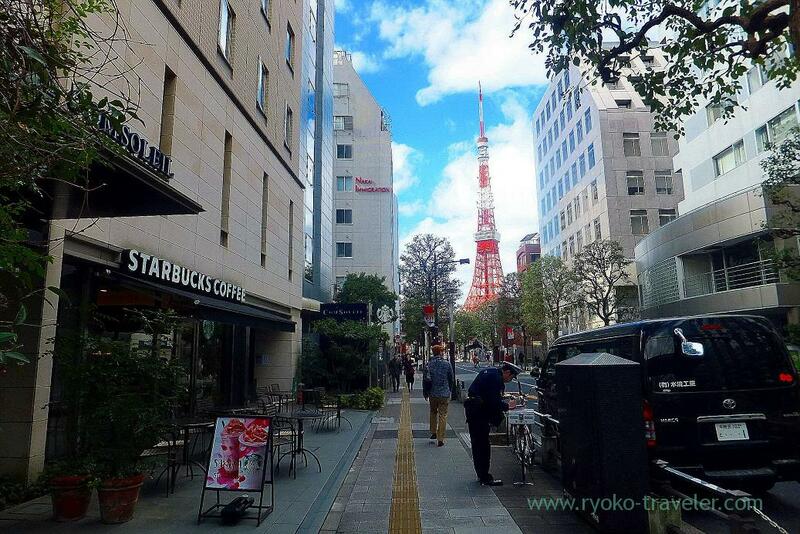 If weather is good, we can enjoy Tokyo Tower and coffee from those tables. But as you see it is under the tall building, it is always shaded and cold. So, there was no one outside. Spring in my hand ! 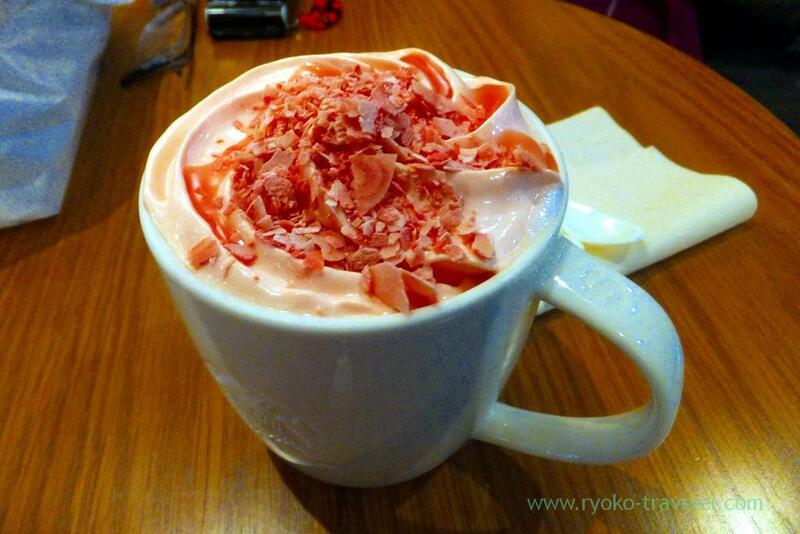 Limited Sakura blossom & strawberry latte. I heard adding one espresso make it good drink for adults. And I drunk it again the other day at another branch. In a mug. Cute. And more, I drunk Frappuccino another day, too. Added chocolate sauce (free) and chocolate chip (+50 yen). 🙂 Awesome. 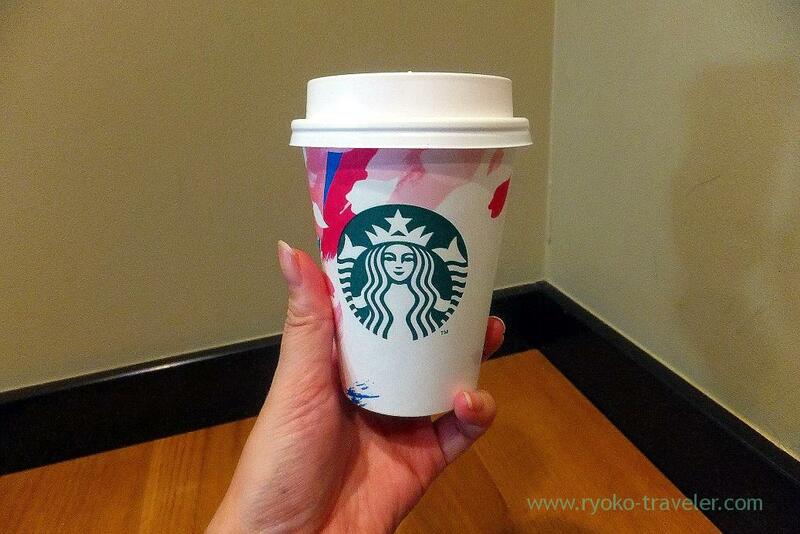 I ordered tall one, but I should have ordered it grande size. 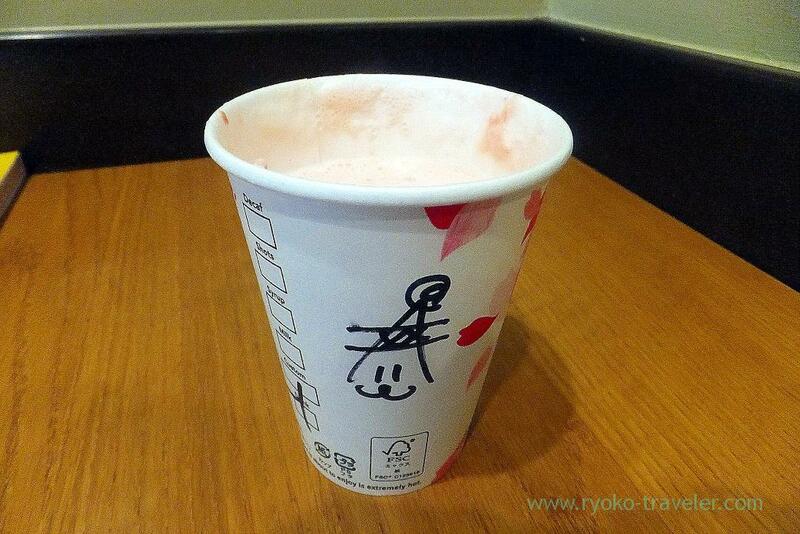 Those limited sakura beverages can be drunk until 15 of this month. 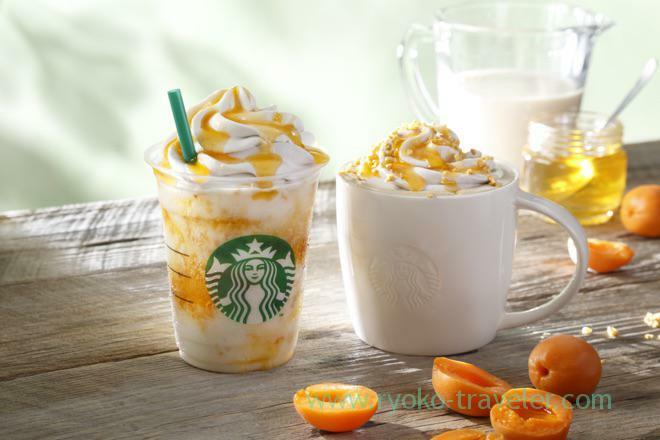 And Starbucks to serve Apricot beverages from this 16th. Oh my. 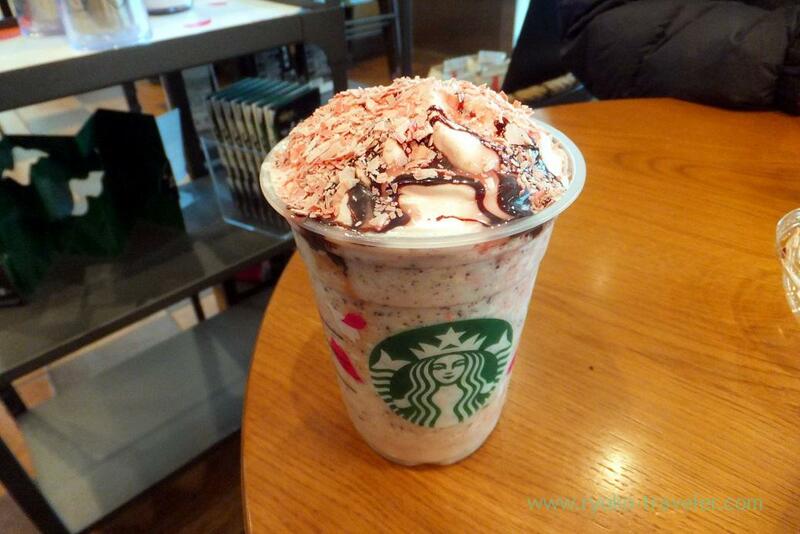 I know many European countries unexpectedly don’t have Starbucks..